It becomes really difficult to entertain a seated person without a coffee table in front! It also a piece of furniture that can be decorated in amazing ways to vary the living room decors! It is also the final addition to every of your sitting furniture arrangements for a complete look and really acts as a conversation starter there! 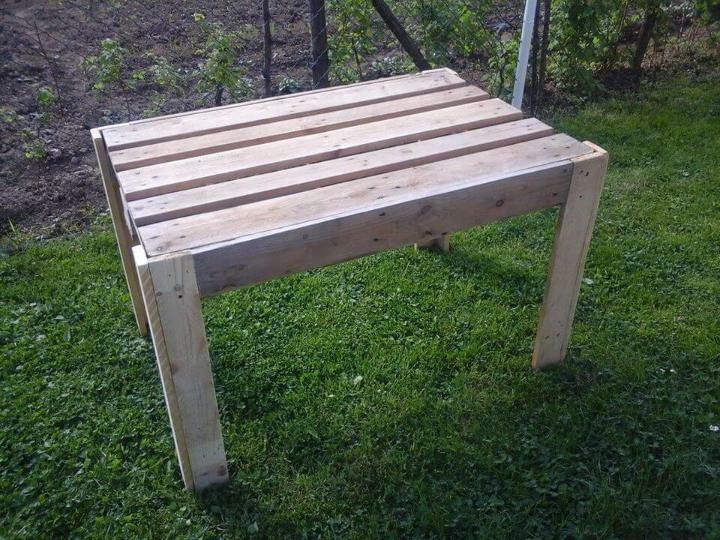 This crucial furniture pieces is really very easy to design at home if you have a bund of pallets! Torn those pallet boards apart and let some separated pallet planks be in front of your to build different panels like top and legs of the table! 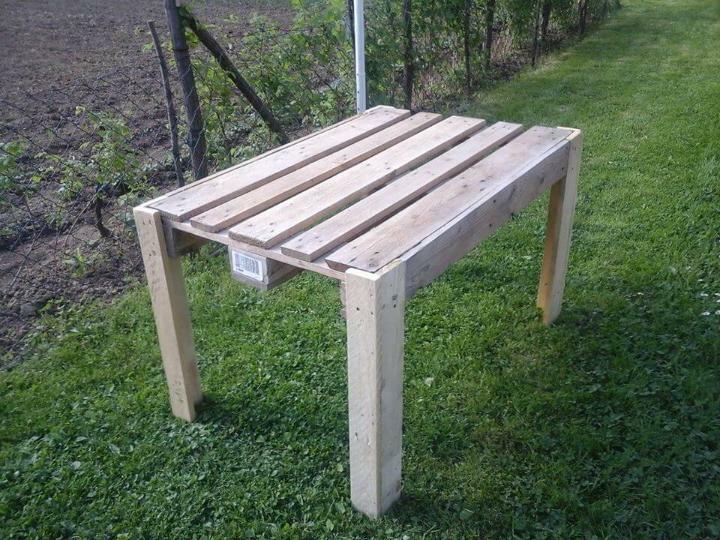 This recycled pallet coffee table is also a one pallet achievement and can really entertain an outdoor seated person by serving the refreshments! Design is so easy to build and pallets are so easy to approach, so what you are waiting for? Also build other kinds of tables like a dining table, kitchen table, hallway and entry table and also those computer desk with pallets, we have shared a plenty of ideas here to design each of these items in several different ways to meet your personal requirements and also to suit your space! Just remove the bottom planks of a whole pallet board leaving the dices in place, top is ready for your coffee table design! Angle wooden legs have been made to hold the top corners tightly and then nails have been added to hold all you set, in place! Design is super sturdy and long living due to hardware pallet nature and can really support well your refreshments like beverage, snacks and meals and also some of decorative vases and decors! This design of table has been left unfinished in its rustic natural wooden appeal, but too much can be done to bring a charming vintage, shabby chic, modern chic and country style character of this table! Sand it smooth, paint it and then stain it to give it that ravishing and visually stimulating look along with marvelous shine and luster on the wood grains!